John was pinned and drowned on July 5th 1998 on the first descent of the Rio Huallabamba in Central Peru. John was an adventurer, an amazing kayaker and most importantly a great friend. John was founder of Adventuras Andes and his 200 run guidebook “Chile Whitewater” was not quite completed before his passing. 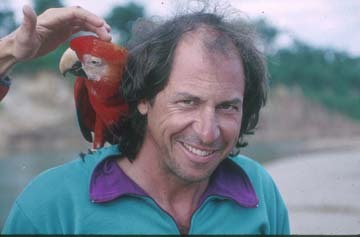 We will all miss John and hope that his spirit lives on with the next generation of explorers and fun seekers.